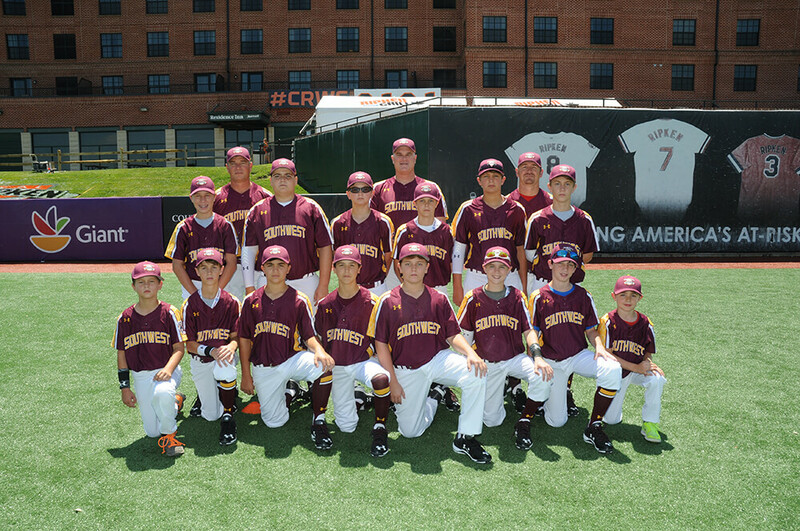 The under-12 baseball all-stars from the Westside Athletic Association put on quite a show at the recent Cal Ripken Major/70 World Series. The Mobile-based club finished third among U.S. entries at the event in Aberdeen, Maryland. The field included 10 teams from the U.S. plus eight international squads. A club from Mexico won the overall championship. (photo/ Courtesy of John Berry) The Westside Athletic Association all-stars from Mobile finished third among U.S. teams at the recent Cal Ripken Major/70 World Series. Westside, which won the Southwest Regional, got started quickly with three straight wins in pool play. 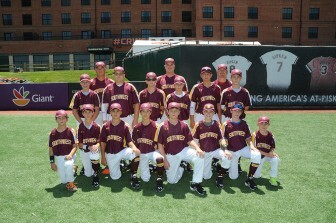 The first game was a 6-3 victory over Charles County, Maryland. Rhett Daigler had two hits and two runs scored, while also allowing three hits in four and one-third innings on the mound. Ethan Webber got the pitching win. Noah Lafferty (2 runs), Cole Berry (2 hits), Cade Wilson (2 RBIs) and Drew Murray (1 RBI) also contributed. Next up was a wild 7-6 win over Exeter, New Hampshire, which included seven lead changes. Top hitters were Murray (2-run homer), Brayden Brooks (3-for-3), Webber (RBI triple), Jay Seymour (2 hits) and Andrew Shirah (2 runs, 1 hit). Wilson gave up four hits in six innings of pitching. A 9-3 victory over Meridian, Idaho, followed. Westside came home eight times in the second inning. Cole Tillman (3-run homer), Murray (2-run homer) and Shirah (2-run single) led the attack. Shirah got the pitching win with help from Webber. Four fielding errors were too much to overcome in an 8-3 loss to Manoa, Hawaii. Lafferty took the pitching loss. Webber (2) and Cole Berry drove in the runs. As the runner-up in pool play, Westside advanced to the U.S. semifinals. There they fell to East Brandywine, Pennsylvania. Lafferty (double, single, 2 runs), Cole Berry (2 RBIs), Webber (RBI) and Shirah (RBI) paced Westside. Webber took the pitching loss. Westside did manage to leave with a trophy. Brayden Brooks won the hitting title among the U.S. teams, thanks to a .500 batting average. 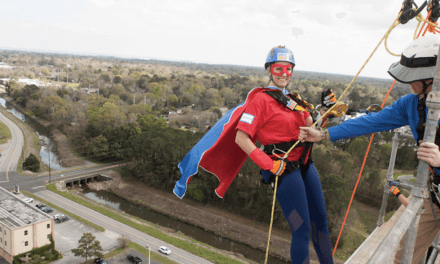 The 12th annual Many More Miles Campaign was another major success in 2015. Conducted by the Baldwin Bone & Joint group, residents in Baldwin and Mobile counties donated 2,729 pairs of running shoes. This shattered the 2014 total of 1,355 pairs. (photo/) Courtesy of Baldwin Bone & Joint) Drs. 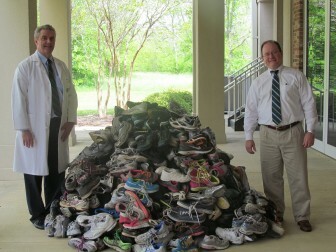 John Todd and Drew Corbett, orthopedic surgeons with Baldwin Bone & Joint, display some of 2,729 pairs of shoes collected during the 2015 Many More Miles Campaign. 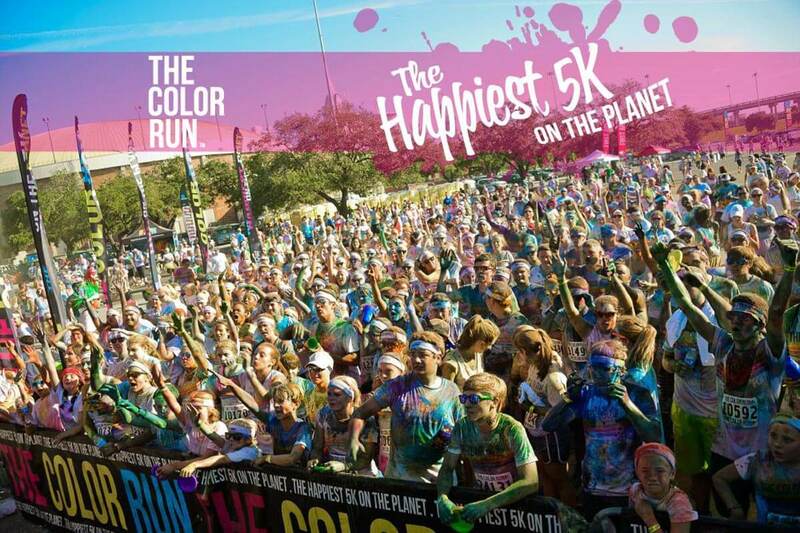 Other organizers included the YMCA in Mobile and Baldwin counties, the Port City Pacers, McCoy Outdoor Company, Dr. Glenn Glass and the University of South Alabama’s Student Recreation Center. The shoes will go to the homeless outreach programs of the Wings of Life and Discovery Ministries. Students in both counties were able to earn funds for their schools during the drive. Dixon Elementary received $300 for turning in 1,450 pairs of shoes. Fairhope Intermediate was second and received $200, while Spanish Fort Elementary earned $100 for third place. For anyone still wishing to donate, used running shoes can be turned in throughout the year at McCoy Outdoor Company on Spring Hill Avenue. ● Julien Sargent, a former player at the University of Mobile, has signed a pro basketball contract with Melilla Baloncesto in Spain. The club is a member of the LEB-Gold League and opens play in October. Antonio Hester, another former Ram, is in the league with CB Tarragona. 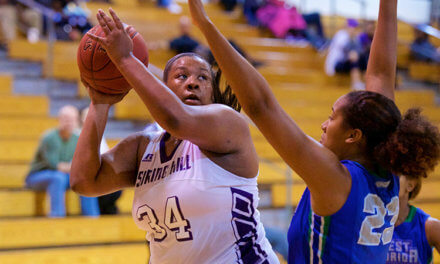 Sargent played two seasons with the Rams, averaging 8.4 points and 5.9 rebounds. A member of the Southern States Athletic Conference’s All-Division team, he finished second all-time at Mobile with a .639 career field goal average. ● The Intercollegiate Tennis Association has named several members of South Alabama’s tennis teams scholar-athlete award winners. 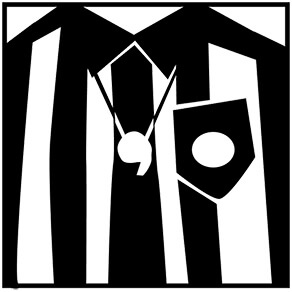 To be eligible, players must have a minimum grade point average of 3.5. The women’s squad had seniors Mary Angela Martin and Emily Newton, juniors Cinta Papke and Paula Sanchez and sophomore Monica Mitta. Among the men, senior Daniel Leitner, sophomore Tuki Jacobs and freshman Olivier Gingras were recognized. ● Two members of the women’s golf team at USA had impressive finishes at the Kentucky Women’s Open. The tournament took place the Cardinal Club in Louisville. Madison Connell finished tied for 10th, with a two-round total of 151 that was 7 over par. MacKenzie Peyton was tied for 18th after turning in an 11-over-par total score of 155. Connell just completed her freshman season at USA, while Peyton was the Kentucky high school runner-up in 2015. ● Spring Hill College has won an academic award from the American Volleyball Coaches Association. The award recognizes teams that maintain at least a 3.3 GPA. Since the honor was established in 1993, the number of winners has increased from 62 to a current all-time best of 752.